COSMEDICAL® offers the latest in safe, cosmetic medicine. We are part of the well established GP Practice, Healthcare Group Guernsey, and all of our treatments are performed by fully regulated doctors and nurses. Our modern, purpose built clinic is adjacent to our St Martins Surgery and has a discreet side entrance to ensure your privacy. If you are interested in the most up to date, non-surgical cosmetic treatments, in a safe medical clinic, we would be delighted to help you. We undertake an initial, in-depth consultation and assessment of your skin and learn about your goals, expectations and fears. We can then develop a personalised treatment plan based on what you would like to achieve. Our opinions will be honest and we will only recommend treatments and products that we have full confidence in. Jason Eustace is the clinical director of COSMEDICAL. He has over 20 years’ experience as a doctor mostly in the UK and has developed an expertise in cosmetic medicine. He was initially trained by the Royal College of General Practitioners to perform botulinum toxin injections and has since had advanced training for botulinum toxin and non permanent dermal filler injections. He is an authorised trained medical practitioner for the award winning Genuine Dermaroller™ Therapy™ which is a CE marked medical device for aging skin and isolated scarring. He has been trained in microsclerotherapy and is able to offer this excellent treatment for thread veins. He is an Associate of the British College of Aesthetic Medicine and has the added benefit of being a practising GP Partner at the Healthcare Group. 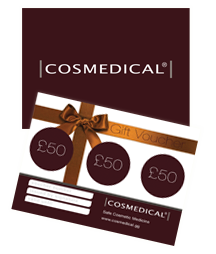 Dr Eustace is happy to offer any advice on skin ageing and all the other procedures and treatments available at COSMEDICAL®.